You will be head over heels for this perfectly pretty plum amethyst gemstone ring. The handcrafted beauty in the sterling silver shines in the band. 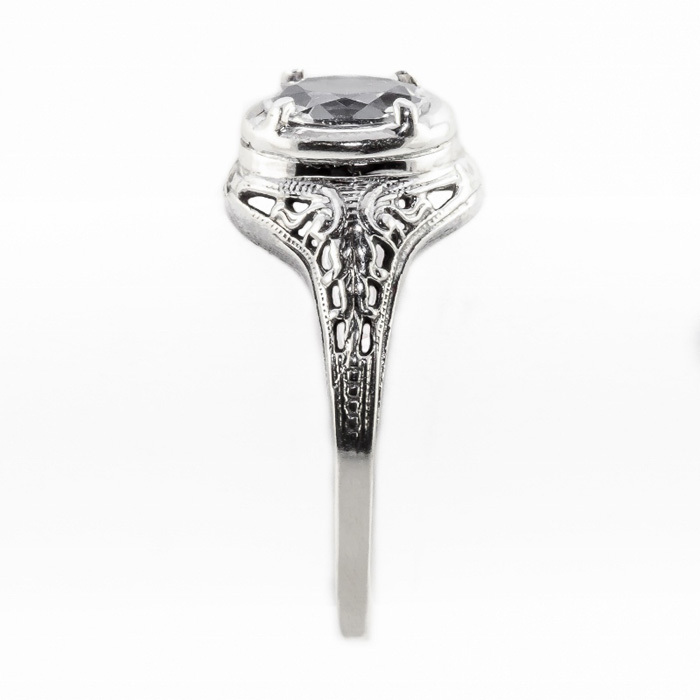 With inspiration from art nouveau, the sterling silver ring is an heirloom that will be treasured generation after generation. 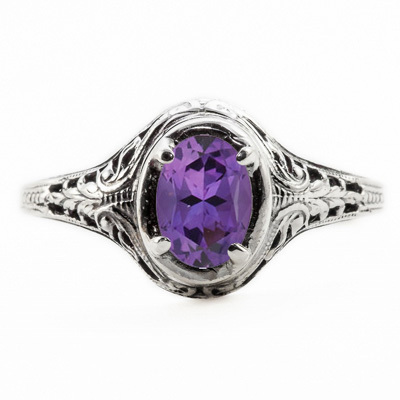 The plum amethyst is oval in shape and is set in the center of the ring. 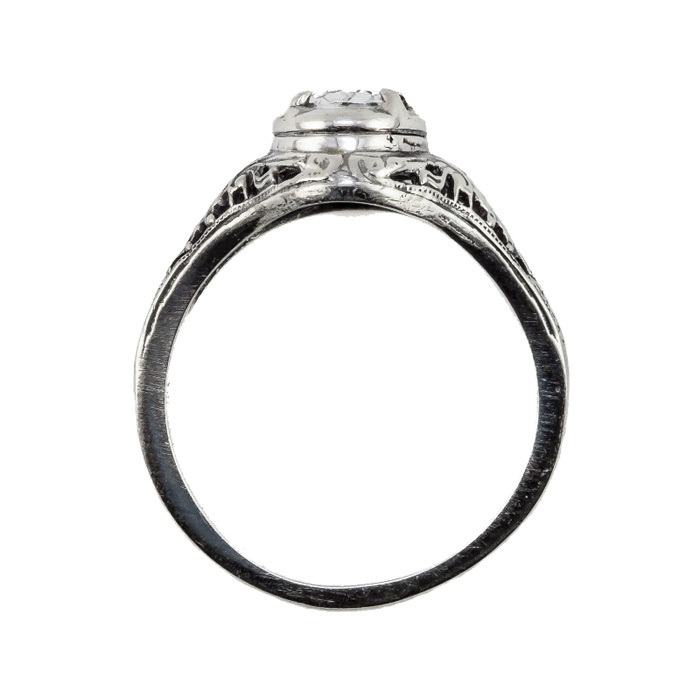 This Apples of Gold piece of jewelry was designed by industry experts with every woman in mind. Measures 7mm x 5mm and ready to ship today. A perfect gift for February birthdays and Valentine's Day. We guarantee our Oval Cut Amethyst Art Nouveau Style Sterling Silver Ring to be high quality, authentic jewelry, as described above.